Description: Having an exceptional memory allows a character to make observations and recall facts better than the average person. Whether they have a photographic memory, eidetic memory or simply a strong ability to focus on and later relay what one has seen, heard and experienced, this skill can be applied to many life situations and be an asset at one’s work. With this ability, learning curves can be shortened and less time is wasted. People with this skill can also keep and share knowledge in a more accurate manner, especially in situations where the subject is broad and other ways of staying on top of information may be cumbersome. Beneficial Strengths or Abilities: This skill can have a genetic component, but is also be honed through practice. Often incorporating mnemonic methods (creating associations for the information to assist with retention) increases one’s memory abilities. Many tie memory to intelligence, but the two are separate. You can brainstorm other possible Skills and Talents your characters might have by checking out our FULL LIST of this Thesaurus Collection. And for more descriptive help for Setting, Symbolism, Character Traits, Physical Attributes, Emotions, Weather and more, check out our Thesaurus Collections page. That’s a fantastic idea, Angela! You’re right on about creating a unique and memorable character. An author knowing their character also makes them great. Would this character find a $20 bill, see someone drop it, and give it back or would they put it in their pocket? Would this character read a hard-luck story in the paper and send $5 to a fund to a family who needs it? These are things that you don’t even necessarily need to know for your book, but knowing these things could make the character seem real on the page or not real because it’s all in your head and it will seep into the writing. This post come with perfect timing as I am plotting book two and three in my new series and am developing my characters deeper. Thank you! Woot! Glad to hear it, Heather! Congratulations on your son’s graduation, Angela 🙂 Such an exciting time (and hectic)! …immediately reminded me of a character in a book I’m now reading. 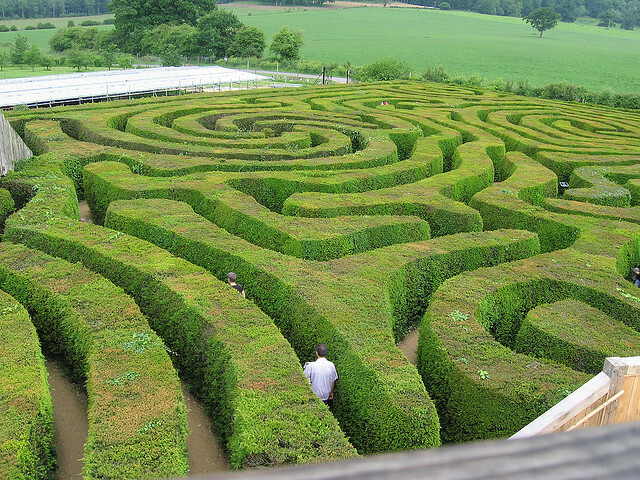 Because of his amazing retention and recall, he was able to find his way out of a maze that had more than a hundred turns. The book, btw, is THE MYSTERIOUS BENEDICT SOCIETY. I’m REALLY enjoying it! At my age, an exceptional memory is merely, well, a memory. (sigh) I like your many scenarios where this is useful. Thanks for another great post. A skill I wish I possessed, lol. Good one!! Oy, how I wish this was my own skill! I have a terrible memory. My husband is good at remembering funky little details. I’ve never thought about making it a character talent or skill, so thanks for the tip.